BUFFALO, N.Y. -- Education Secretary John B. King Jr. is urging governors and school leaders in states that allow student paddling to end a practice he said would be considered “criminal assault or battery” against an adult. King released a letter Tuesday asking leaders to replace corporal punishment with less punitive, more supportive disciplinary practices that he said work better against bad behavior. 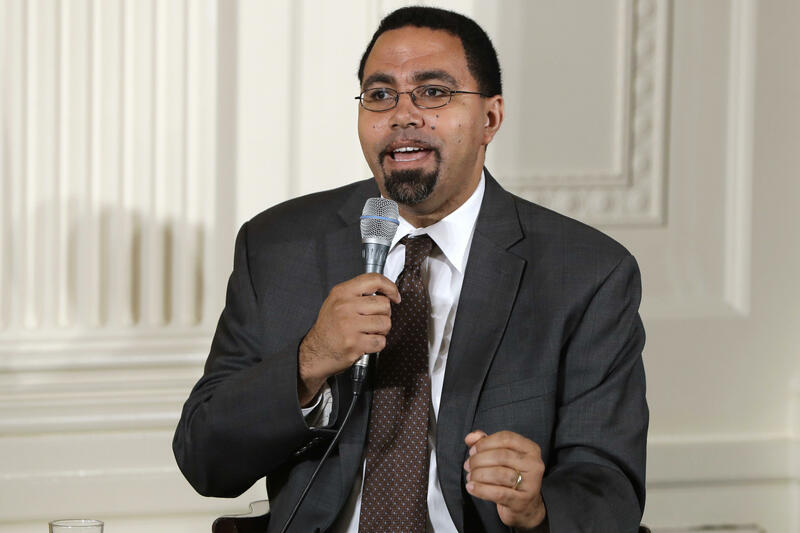 More than 110,000 students, including disproportionate numbers of black and disabled students, were subjected to paddling or a similar punishment in the 2013-14 school year, said King, citing the Education Department’s Civil Rights Data Collection. Coming toward the end of President Obama’s term, the push to end corporal punishment builds on the administration’s “Rethink Discipline” campaign to create safe and supportive school climates, King said. It also lines up with Mr. Obama’s “My Brother’s Keeper” initiative, meant to address persistent opportunity gaps facing boys and young men of color, he said. Eighty organizations, including the American Academy of Pediatrics, NAACP, Association of University Centers on Disabilities and American Federation of Teachers, signed an open letter released by the National Women’s Law Center supporting an end to the practice. Students are regularly paddled for minor or subjective infractions like dress code violations, cellphone use or disrespecting staff, the letter said. “Corporal punishment of adults has been banned in prisons and in military training facilities, and it’s time we do the same for our nation’s schoolchildren,” said Fatima Goss Graves of the Women’s Law Center. “There are better, smarter ways to achieve safe and supportive school environment,” King said, adding that the education law passed late last year supports using funding for positive intervention and supports.